Recently, I got in touch with the owner of Illumicrate and asked if I'd be able to receive a box in return for an honest review, so here it is! My first Illumicrate! 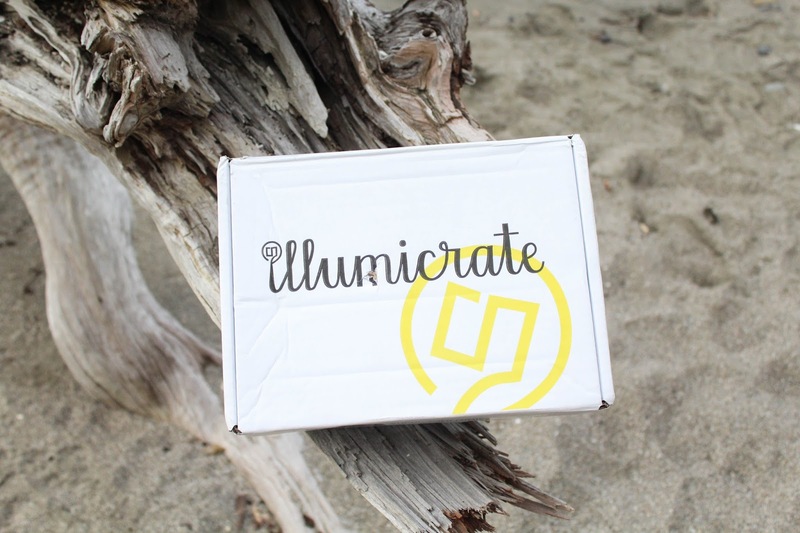 For those of you who are unaware, Illumicrate is another YA subscription box, but instead of a monthly box, you receive the box quarterly (once every three months). The company is run by Daphne, owner of Winged Reviews, who writes "As a UK book blogger, I've been part of the book community for many years and I enjoy meeting, working with, and spending time with bookish people. I started Illumicrate because I wanted to curate something for book lovers everywhere, like an ideal gift package! My aim for Illumicrate is to send you the best new reads plus bookish items that are fun, beautiful, geeky and all the wonderful adjectives - things that I would love to own and I know that others would too!" Each box contains one YA novel, and 2-5 bookish goodies ("Examples are bookmarks, stationery, jewellery, accessories or any other small items that book lovers are sure to enjoy") Illumicrate is £29.99 (which includes shipping for those who live in the UK) and international shipping ranges from £4.99 - £13.99 depending on the location of the buyer! For me, the subscription would cost £43.98 which is around $100NZD per quarter. 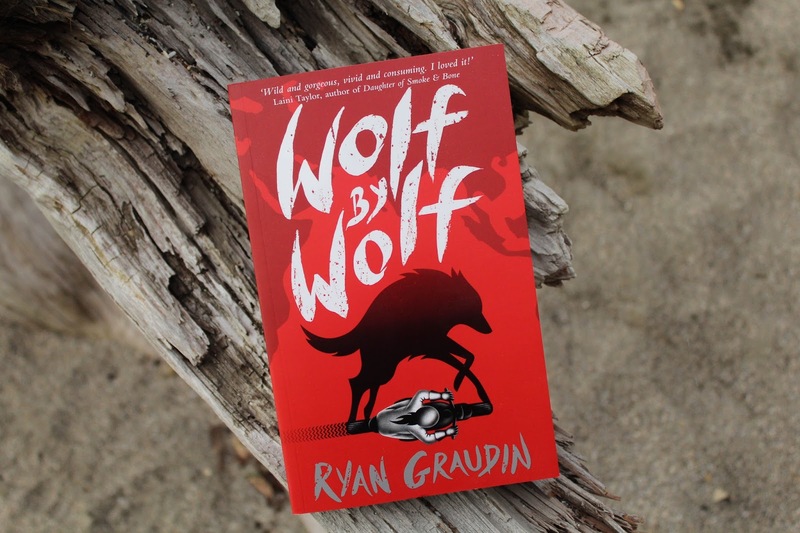 The book in the first Illumicrate was Wolf by Wolf written by Ryan Graudin, the synopsis follows - "Code Name Verity meets Inglourious Basterds in this fast-paced novel from the author of The Walled City. Yael, who escaped from a death camp, has one goal: Win the race and kill Hitler. A survivor of painful human experimentation, Yael has the power to skinshift and must complete her mission by impersonating last year's only female victor, Adele Wolfe. This deception becomes more difficult when Felix, Adele twin's brother, and Luka, her former love interest, enter the race and watch Yael's every move. But as Yael begins to get closer to the other competitors, can she bring herself to be as ruthless as she needs to be to avoid discovery and complete her mission?" It's not really the kind of book that I'd pick up on my own, especially since I'm not a big reader of History themed or inspired works, even with a fantasy-ish theme, but the cover definitely catches my eye so I'm sure I'll give it a go! Also included was a signed bookplate and an exclusive video! 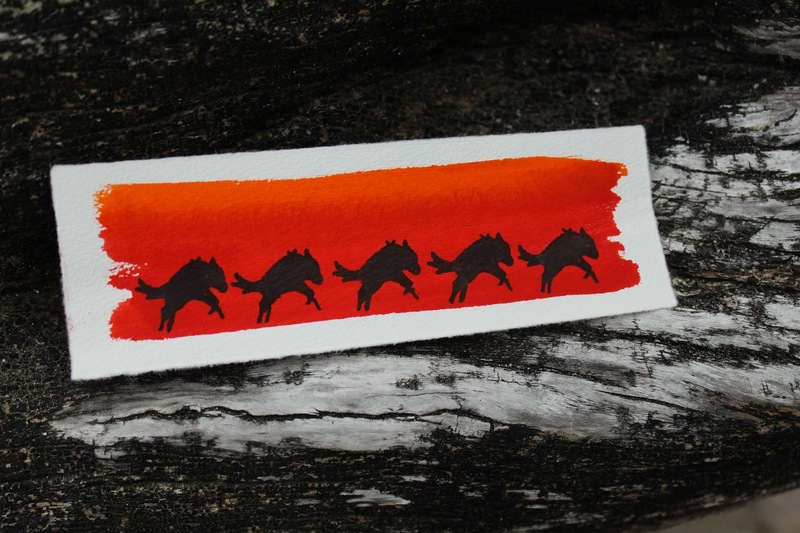 Next up was an exclusive bookmark from a well known maker Skinny Hues. I always see these bookmarks on Instagram and have always loved how beautiful and unique they are (as each is handmade, no two are identical). However, the book must have slid against it, pinning it at the fold in the box because it arrived folded almost in half, but it was nothing that a couple of days under some incredibly heavy books couldn't fix! I will definitely be using this stunning bookmark. Also included in the box was an exclusive necklace from My Clockwork Castle that was inspired by Catching Fire which was incredibly fun to photograph. 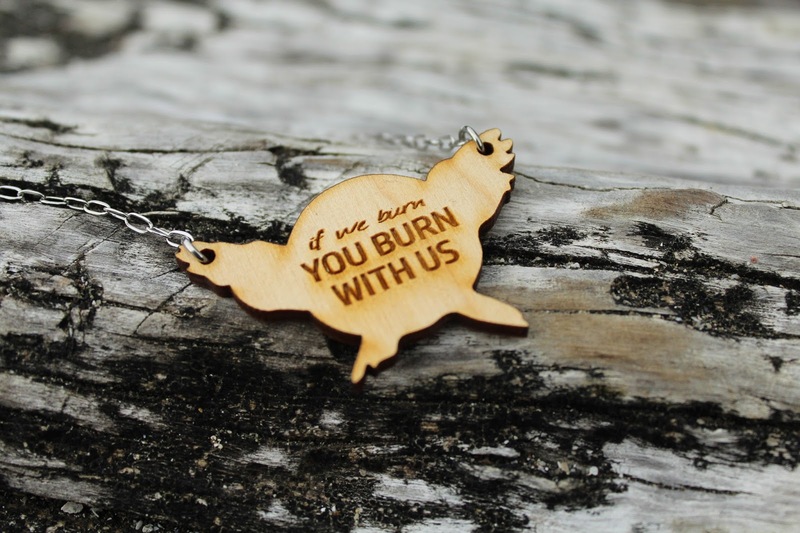 It's a silhouette of the Mockingjay symbol with the iconic quote 'If we burn, you burn with us'. At first it was kind of hard to see what the outline was referring to, and I think I would struggle without the quote, but it's a cute necklace all the same. 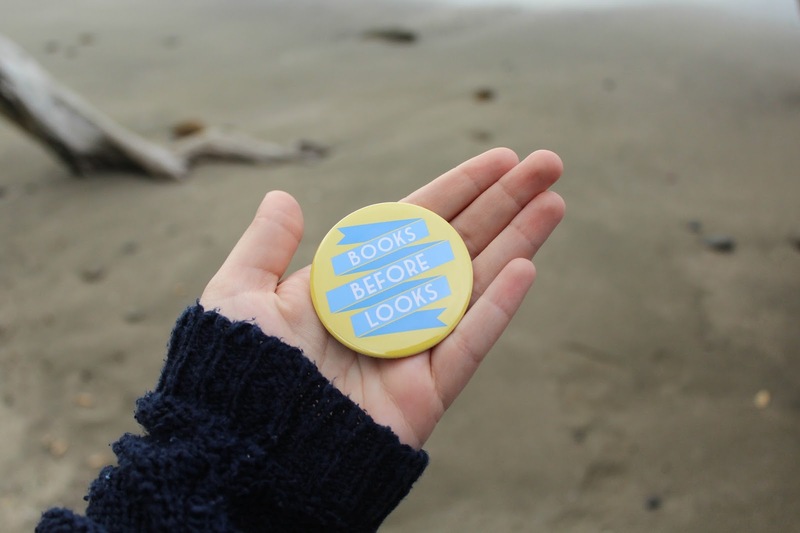 My bookish jewellery collection is definitely being helped along by subscription services! One of my favourite items from this Illumicrate was this Books Before Looks mirror from Raspberry Finch, it's one of those without a cover but is something that I'd wear proudly as a badge even if I never ended up using the actual mirror. Also included, but not photographed (because the wind has been INSANE here and it just wasn't letting me unroll it) was a Harry Potter poster designed by Abbie Imagine that I think I might have to frame! It's a redesign of each Harry Potter book cover, it's something that I'm extremely excited to put up on my wall! Extras included in the box were a Six of Crows pin, This Raging Light postcard. I haven't read Six of Crows, but it has quite the fandom, so hopefully I'll knock it off my TBR soon so I can rock the little pin. Overall, I was happy with my Illumicrate, it contained some extremely nice items! Make sure to check out all their social media below so you can sign up for the next quarters box! One really great feature was that three of the items were exclusively made for the box, so if that continues, by signing up you get a lot of exclusive and never seen before bookish goods. My personal favourite has to be the poster, it will sit proudly next to my bookshelves for sure. I hope you enjoyed this write up of the first Illumicrate! Did you sign up for the first box? What was your favourite item? Make sure to leave a comment below and don't forget to subscribe.